Who says romance is dead? These dynamic duos have kept love alive throughout history. This Valentine's Day see if you and your sweetie stack up to these amorous couples, and revive your appreciation for your other half by taking a lesson in love. 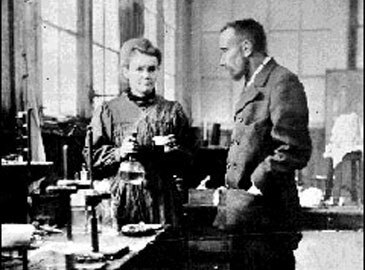 Chemistry sizzled in this brilliant husband and wife team, but they didn't let their romance deter them from making groundbreaking scientific discoveries. Their journey from colleagues to friends to spouses happened in tandem with their leaps and bounds within the scientific field. Marie's Polish heritage made her apprehensive about marrying a Frenchman, but Pierre managed to win her over. In contrast to modern bridezillas, Marie was wed in a simple dark blue dress, which doubled as her lab outfit. This musical duo were legendary in their devotion to each other -- and so connected that they referred to themselves as "JohnandYoko," forsaking their individual identities. 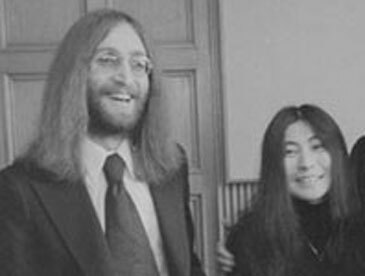 Socially and politically progressive, the couple challenged convention, and John even changed his name to John Ono Lennon after their marriage. He was so attached to Yoko that when she was nursing an injury, he insisted on having a full-size bed rolled into the music studio for her, so they would not be parted for even a moment. Although their relationship is rumored to have played a role in the dissolution of the Beatles, John and Yoko are among the most renowned couples in history. Possessing a particular affinity for the phrase, "Off with her head!" 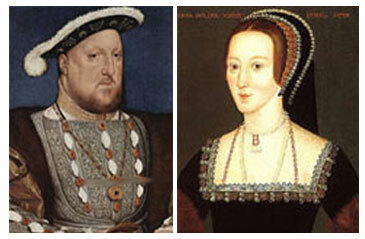 Henry VIII was a fickle husband. Initially, however, he was desperate for the attention of Anne Boleyn, and even divorced his first wife to gain her favor. Anne proved to be a passing fancy for the capricious king, and he had her decapitated three years after their wedding for failing to provide him with a male heir. Anne was second in a string of six wives, but her headstrong and clever nature has garnered her the most recognition. When William and Ida McKinley were wed, the bride was slender and beautiful, but years later she was a shadow of her former self. 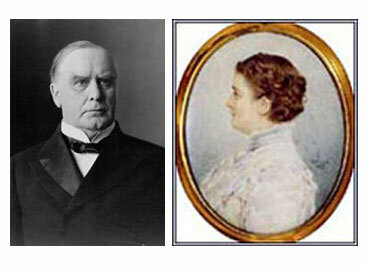 Her declining health made her an invalid, but President McKinley's love never wavered for his First Lady. The two were often so engrossed in one another during social gatherings that they ignored others to the point of rudeness. Even William's last living thought was of his Ida. After he had been shot by an assassin, he exclaimed to his secretary just before he died, "My wife -- be careful...how you tell her!" Even the greatest minds can be reduced to foolishness by love. 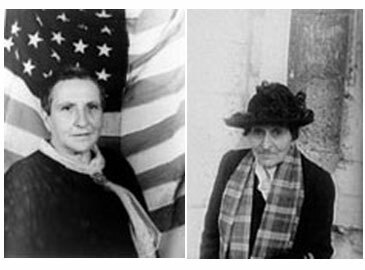 Despite their silly pet names for one another, Gertrude Stein and Alice B. Toklas made an impressive intellectual team, with Alice serving as Gertrude's most valuable editor and critic. The couple surrounded themselves with very distinguished company in their home in Paris, inviting prominent American expatriates to join them in conversation and debate. Among their frequent guests were Ernest Hemingway, Thornton Wilder, and Ezra Pound. After Stein's death, Toklas published a book of recipes and memories of their time together, which serves as a tribute to their shared love and devotion. 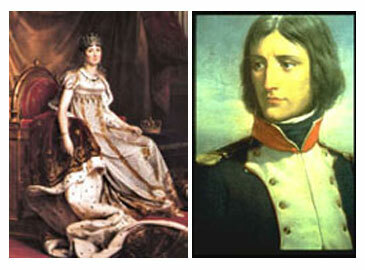 The exhaustive work of tyranny and totalitarianism required the love of a good woman, and so, at age 26, Napoleon set his sights on Josephine. She was a rich, older woman who could bankroll his lofty ambitions. Although initially he considered Josephine merely a practical means to an end, Napoleon soon fell genuinely and ardently in love with her. The two shared a tumultuous courtship and marriage - both were often unfaithful -- but their passion was real, and was expressed in their frequent correspondence. Their mutual infidelity and failure to produce an heir eventually led to the dissolution of their union. Both were devastated by the separation, and the memory of their romance remained forever in their hearts. EB once noted that he knew his marriage to Katherine would last after hearing her refer to dental floss as "tooth twine." Her verbal dexterity enchanted the author, and he fell deeply in love with his lady linguist. These wordsmiths met when they were both working at the New Yorker; a prominent New York literary magazine. Katherine was an elegant and stylish editor, and EB was a disheveled but talented writer. The couple proved to be an extraordinary team, and their collaboration during the infancy of the New Yorker helped create a voice that still resonates within the publication today. 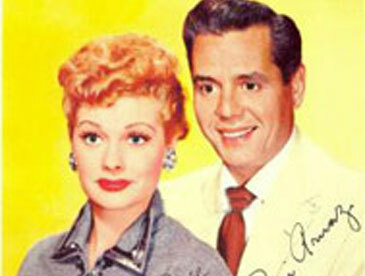 Lucille Ball described her initial meeting with Ricky Ricardo this way: "It wasn't love at first sight. It took a full five minutes." Their obvious and overwhelming chemistry propelled this talented team into both matrimony and fame. However, their passion proved to be stormy as well as sweet – they parted and reconciled numerous times. Although they finally divorced in 1960, Lucy conceded that Ricky was the love of her life and said she still missed him. This duo is particularly noted for breaching social taboos, by playing the first on-screen interracial couple in America. This literary pair broke all the rules to be together. Robert was six years her junior, and Elizabeth's father had forbidden her to marry. Yet she ran away from home to be united with her beloved. Contrary to Victorian convention, Elizabeth was the more successful spouse, as her poems and literary work garnered her international praise. Robert's poetry received little recognition, in contrast, and proved to be unprofitable. 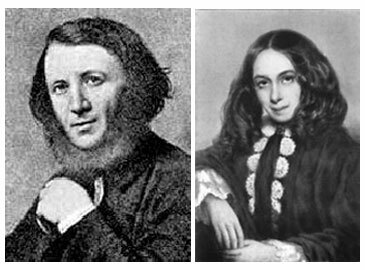 These trifles did not divide the couple, however, and they remained ardently dedicated to one another throughout their lives. Proving the power of the pen, John and Abigail wrote over 1,000 letters to one another during their courtship and marriage. Unwilling to follow conventional roles, Abigail ran the family farm and managed the budgeting, without John's interference. This didn't bother the statesman one bit, and he often joked that the household seemed to run smoother in his absence. 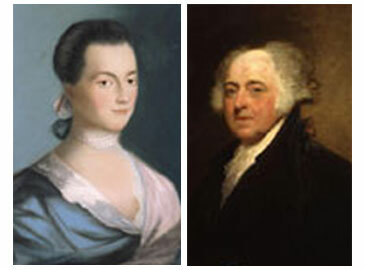 Abigail even wielded her influence during John's term as President, but was not well received by the American public, who referred to her sarcastically as "Her Majesty." Criticism did not diminish the love between the two, and they remained devoted until their deaths. 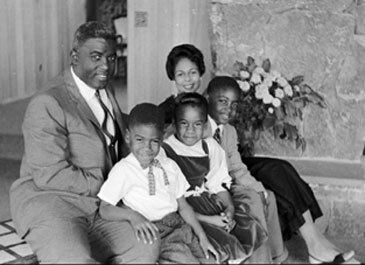 Rachel was acutely nervous when she met Jackie Robinson for the first time at UCLA. 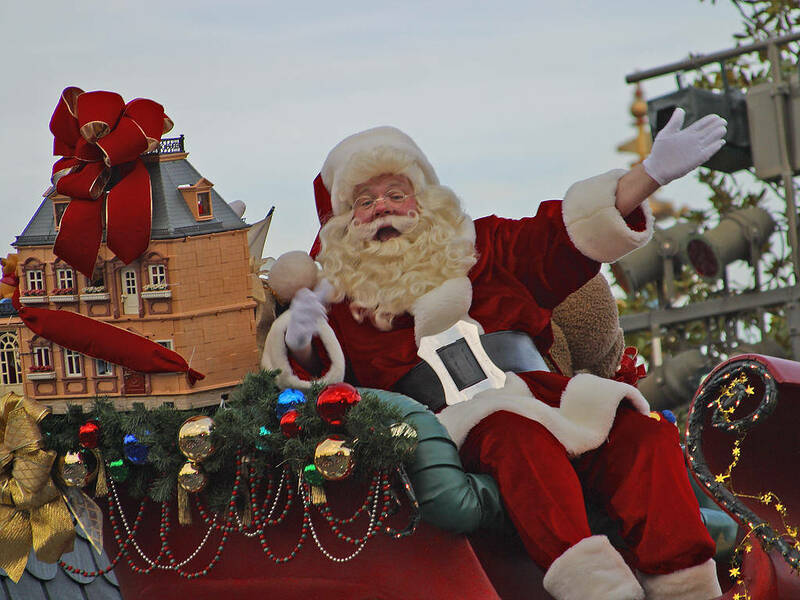 Although he participated in four varsity sports and was generally known as a big man on campus, he seemed bashful and modest, which endeared him to Rachel. Later in life, Rachel became a true asset to Jackie, remaining strong in the face of the brutal racism and frightening threats that arose when he joined the Brooklyn Dodgers. Always presenting a united front, the couple overcame hardships and personal tragedy by seeking comfort in one another. After Jackie's death, Rachel established the Jackie Robinson Foundation. When he met the Egyptian queen Cleopatra, the Roman general Marc Antony was so bewitched by her brilliance and beauty that he abandoned his wife and married her, despite the protests of his countrymen in 36 BC. Their scandalous union proved to be their undoing, as Antony's Roman friends turned against him and Rome erupted into a civil war, in which Antony fought his former compatriots. 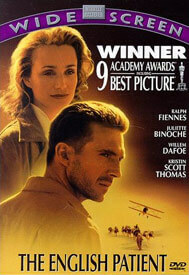 Antony's navy was brutally defeated and he was forced to escape to Egypt. Hearing a false report that Cleopatra was dead, Antony committed suicide. 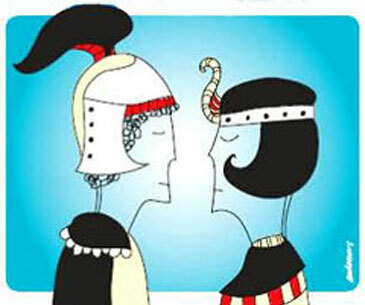 In a display that rivals the tale of Romeo and Juliet, Cleopatra followed suit, after learning of her husband's demise. 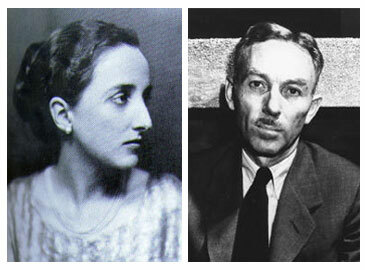 These avant-garde intellectuals maintained a close friendship and an atypical romance throughout their adult lives -- they were not proponents of monogamy and rejected societal standards for relationships. 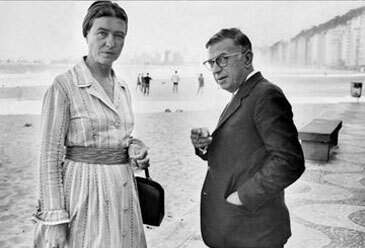 Their unconventional attitudes caused persistent friction between them, but also provided fuel for Simone's fictionalized account of Sartre's various amorous relationships. The two were irreplaceable to one another as workmates; Jean-Paul depended on Simone for constructive criticism, and he never sent a piece to his publisher without her approval.